This Green Mountain Bicycle Club ride starts at Highgate Elementary School in Swanton, VT. 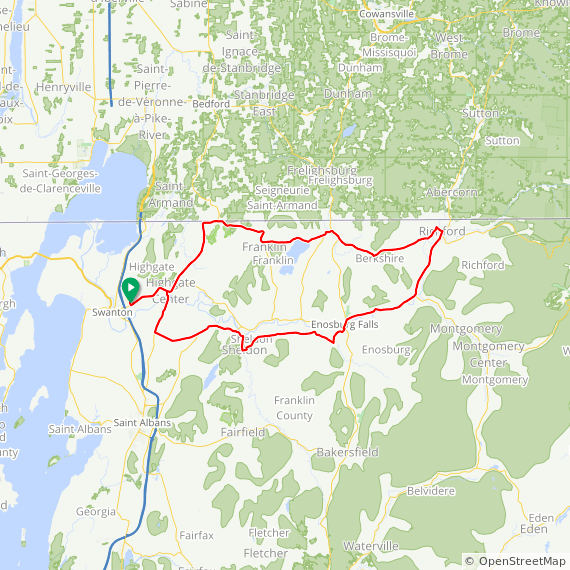 The route takes your through northwestern Vermont near Lake Carmi and the towns of through Morses Line and Franklin. The long ride goes up to Richford and through Enosburg Falls.